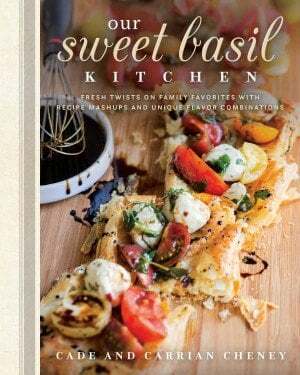 Looking for a Cafe Rio copycat recipe that wont take all day to make and tastes like the real thing? Try cafe rio creamy tomatillo cilantro ranch dressing! Every time we go to Cafe Rio I order the sweet pork salad. It’s enough to feed both Cade and I, but if you know Cade you know that he does not split meals. He wants to have his own meal and eat it all. Drives me a little crazy but at least I get to save the leftovers. 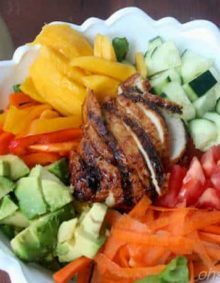 Are Cafe Rio Salads Healthy? Well, I want to tell you yes because it’s a salad and most of all because I eat it, but the truth is, they really aren’t. I mean, that’s one big salad and it’s full of carbs, cheese, and that dressing. 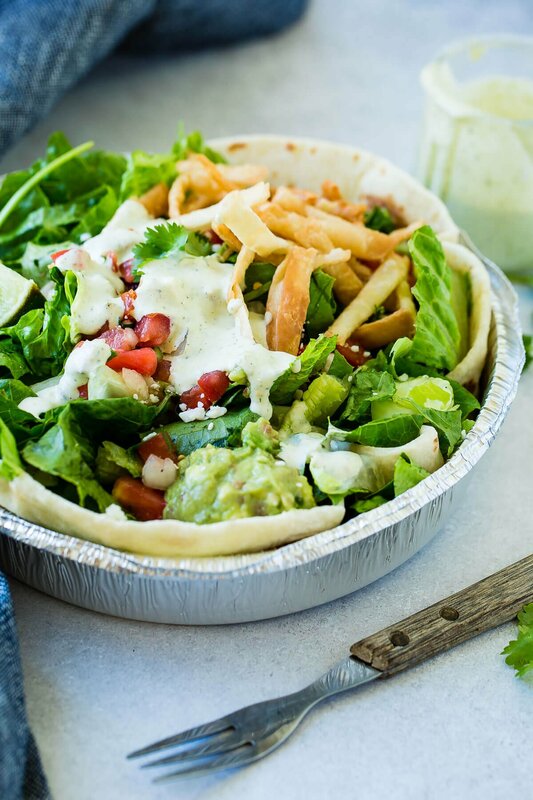 In fact, there are almost 1000 calories in a Cafe Rio salad and that’s if you don’t count the guacamole and the extra dressing you keep adding. But, split it with me (I’m looking at you, Cade) and you just saved yourself half the calories and you’re still full. 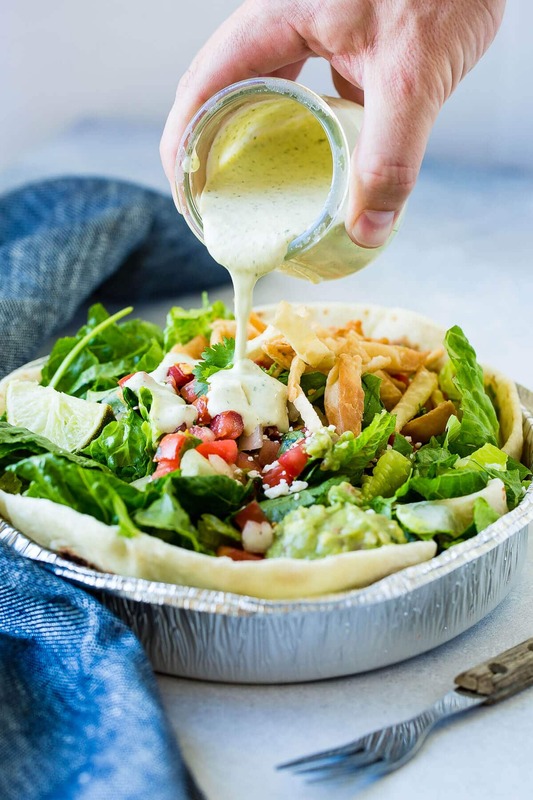 What is in Cafe Rio Dressing? 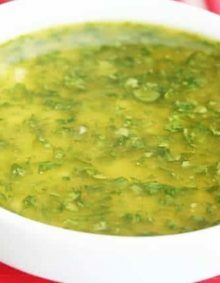 Cafe Rio creamy tomatillo dressing or cilantro ranch like some call it is only a few ingredients but the key is for sure in how you combine them together. You start off with lime juice, tomatillo, cilantro, milk and a ranch packet. All of that goes in a blender and then add a jalapeno to really spice things up. I personally like to take the seeds out as I’m a wimp when it comes to spicy but you do whatever is best for you. 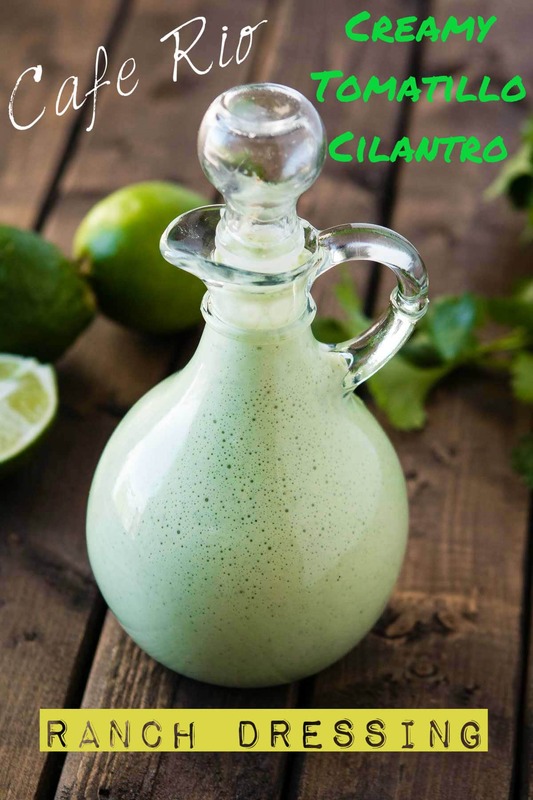 Just click to play to watch the easiest way to make the cafe rio creamy tomatillo cilantro ranch dressing. Pulse all of these in a blender until smooth and either add in the mayo last and pulse or if you really want it authentic, whisk in the mayo and it will be a slightly thicker dressing. That’s it! Now just serve it up with our Cafe Rio Copycat Sweet Pork, Cafe Rio Chicken and don’t you dare forget the Cafe Rio Cilantro Lime Rice. Oh, and there’s always the Cafe Rio Copycat Shredded Beef as well! Place all ingredients except the mayonnaise into the blender and blend until smooth. Whisk in the mayo and place in the fridge. Dressing was delicious. I’ve tried several tributes to Cafe Rio’s dressing as I’ll call them. This was the closest and yummiest by far. Thanks for the directions and wonderful treat to make our dinner even better. Thank you Trent!! 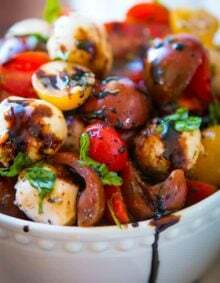 That dressing is soooooo delicious!